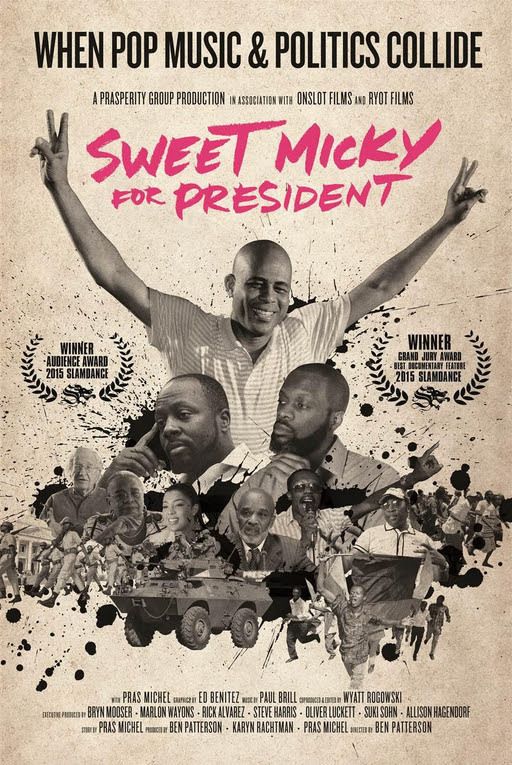 #MoviesMusicPlaysFilmFestivalsConcerts: LAFF 2015: Two Must-See Films: "Sweet Micky for President", "In Footbal We Trust"
LAFF 2015: Two Must-See Films: "Sweet Micky for President", "In Footbal We Trust"
Directed by Ben Patterson; Story by Pras Michel of "The Fugees"
SWEET MICKY FOR PRESIDENT follows Pras Michel, Grammy award-winning rapper and founder of the hip-hop group The Fugees, as he returns to his homeland of Haiti post-earthquake and finds a corrupt government in paralysis. 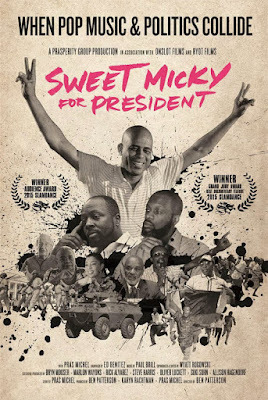 With no experience or money, Pras passionately mobilizes a presidential campaign for the unlikeliest of candidates: Michel Martelly, aka “Sweet Micky”, Haiti’s most popular and most outlandish pop star. The film won the Grand Jury Prize and the Audience Award for Best Documentary at the 2015 Slamdance Film Festival. 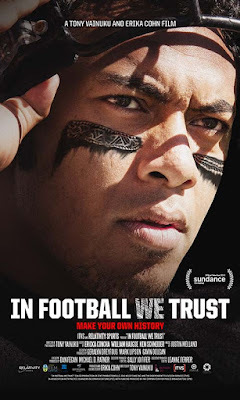 A stand-out hit at Sundance 2015, IN FOOTBALL WE TRUST is an insightful, eye-opening and moving documentary exploring in rich detail the remarkable story behind the Polynesian Pipeline to the NFL. To understand this phenomenon, one must appreciate the individuals and cultures behind the headlines, their unique diaspora to the United States and the role of the Mormon Church in facilitating their immigration. A contemporary American story, IN FOOTBALL WE TRUST transports viewers deep inside the tightly-knit and complex Polynesian community in Salt Lake City, Utah. With unparalleled access and shot over a four-year time period, the film intimately portrays four young Polynesian men striving to overcome gang violence and near poverty through the promise of American football. Viewed as the “salvation” for their families, these young men reveal the culture clash they experience as they transform out of their adolescence and into the high stakes world of collegiate recruiting, pursuing the dream of continuing their community’s legacy of producing NFL stars. Their stories combined with archival footage and interviews with current and former NFL players (including Troy Polamalu, Haloti Ngata, Star Lotulelei and Vai Sikahema) make this film even more powerful.